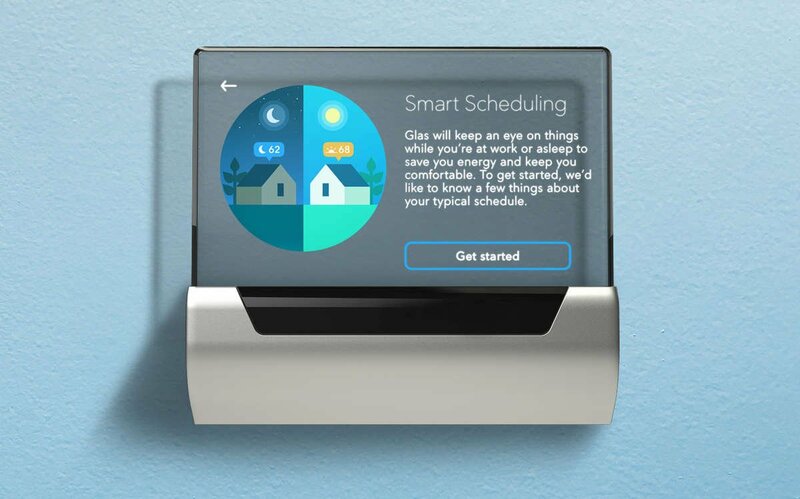 Reimagine your home with the GLAS® smart thermostat. Featuring a vibrant translucent OLED touchscreen, the clearly smart thermostat helps you create a healthier, more efficient home. Check if your home is compatible. GLAS adapts to your schedule to intuitively and attentively maintain a comfortable space while it saves you energy. Connected to your smart home. 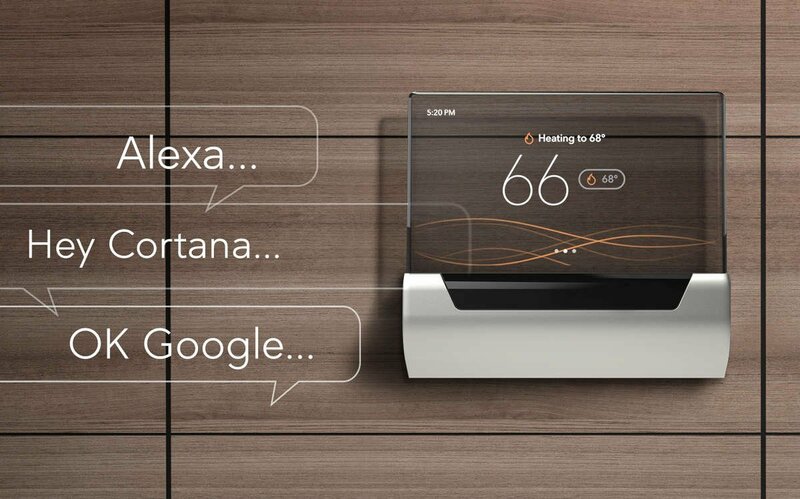 GLAS works with Amazon Alexa, Google Assistant and is built with Microsoft Cortana. The GLAS smart thermostat monitors and reports indoor and outdoor air quality so you can manage and be aware of the air you breathe. 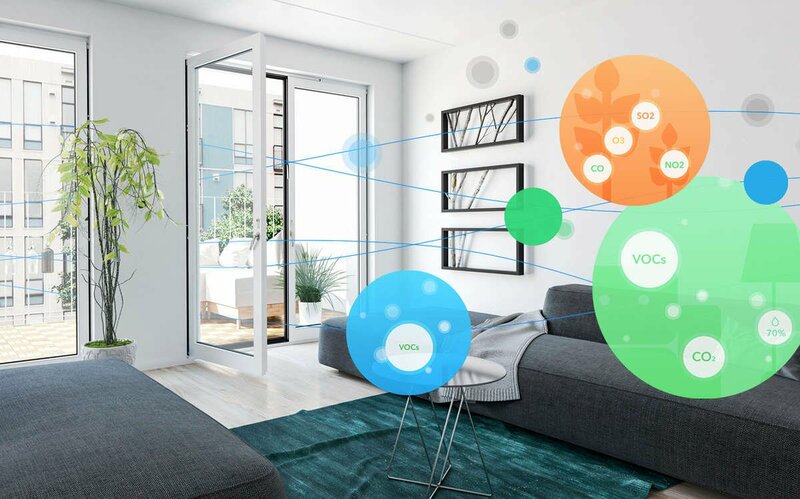 Indoors, GLAS provides real-time reporting on humidity, total volatile organic compound (tVOC), and equivalent carbon dioxide (eCO2) levels. Outdoors, GLAS provides real-time air quality reporting on allergens, tree pollen, grass pollen, ragweed pollen, and the air pollution index (API). 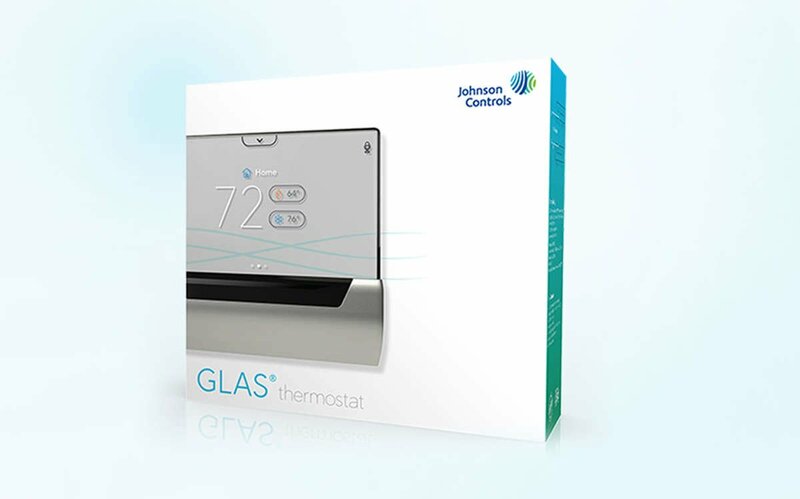 The powerful capabilities of GLAS are a product of forward-thinking enginerering and cutting-edge thermostat design. The sleek 5 in. H x 5.51 in. W x 1.18 in. 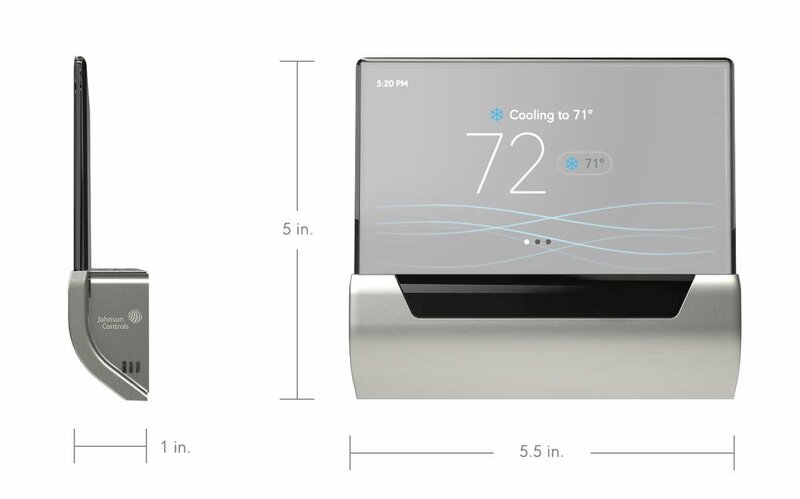 D thermostat is the first of its kind to incorporate a translucent OLED touchscreen. GLAS works with most 24-volt heating and cooling systems, including: gas, electric, oil, radiant, and forced air. To see if your system is compatible, visit the GLAS website. Installing GLAS on your own is easy. Just follow the simple installation instructions. If you want to give your drill the day off, just visit our website to find a GLAS installer near you.